A quality solar set up will ensure your solar savings last for decades. – Assess your properties suitability for solar. 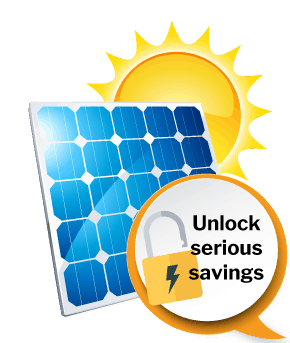 – Estimate solar savings available to you. – Outline generous government rebates. – Design a PV system for your roof and aspect. – Guide you on the most suitable products. – Provide a tailored written quotation. Why get a quote on solar with WATTever? Quality Installation. Get it right with the solar industry’s trusted professionals. Quality Products. Every panel and inverter is CEC approved according to Australian Standards. All panels are backed by a 25 year performance warranty ensuring your solar is rewarding you long into the future. Local Service. Our network currently serves customers in New South Wales, Victoria and South Australia. Please enter a value between 2000 and 5999. Eligible households in Victoria can receive a 50% rebate on new solar, cutting up to $2,225 from a 4kW solar system. A 4kW system can lower power bills by up to $890 pa, so solar industry leaders expect there will be a surge of interest. Available up to June 30 2019 for just 24,000 eligible households, find out what you need to know to access the Victorian solar rebate. Australia has just eclipsed two million solar rooftop systems. Now, one in five Australian homes are benefitting from a solar PV system. It’s clear that households are voting with their wallets to buy cheaper and cleaner electricity. Looking for the latest feed-in tariffs? You’ve come to the right place. WATTever rank the best feed-in tariffs for every retailer in every state and territory plus solar feed-in rates for every public plan offered by each retailer. We explain why the biggest feed-in tariff isn’t necessarily the best deal – and how to choose the right electricity plan for solar. for a solar expert to talk to you.